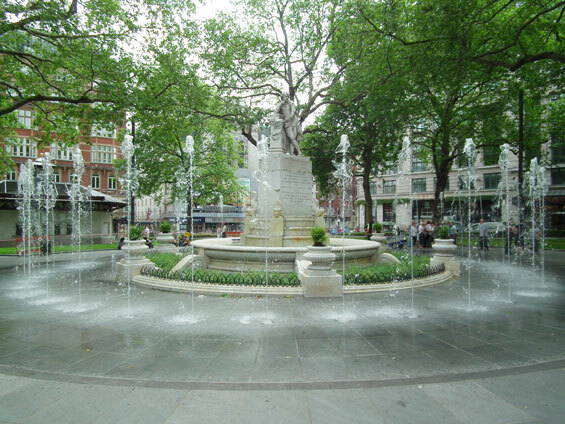 In June 2007 BURNS + NICE won a design competition for the re-design of Leicester Square, organised by Westminster City Council. The square is the home of British cinema staging over 50 film premières every year as well as a number other large scale events throughout the year. It attracts approximately two million visitors each week. Together with its side streets the square accommodates 250 servicing deliveries every morning, over 35 al fresco dining pitches, the largest cinemas and casinos in the UK and five hotels, with another two large ones planned. 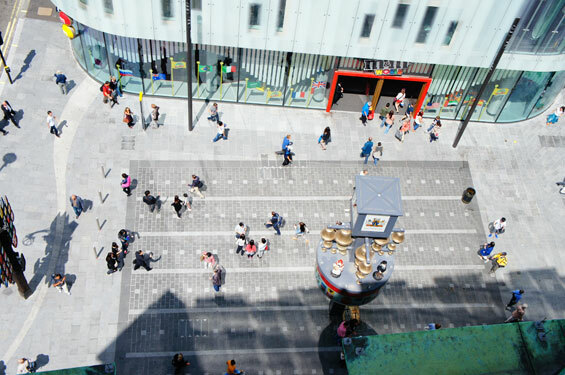 In combination these activities make the Leicester Square City Quarter a challenging and multi-layered urban environment. A spatial hierarchy was introduced to unify the square and to define its city block in order to provide legibility and a sense of place. 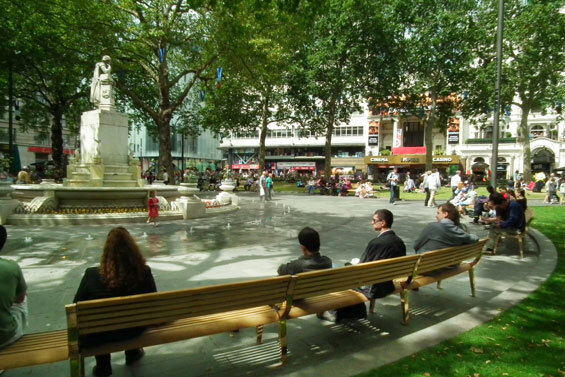 The re-design of Leicester Square offered the opportunity to consider the Gardens, the Square and the Connector Streets as one entity. 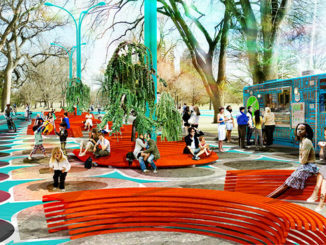 A coherent public realm that strengthens the identity of this part of the West End was created. 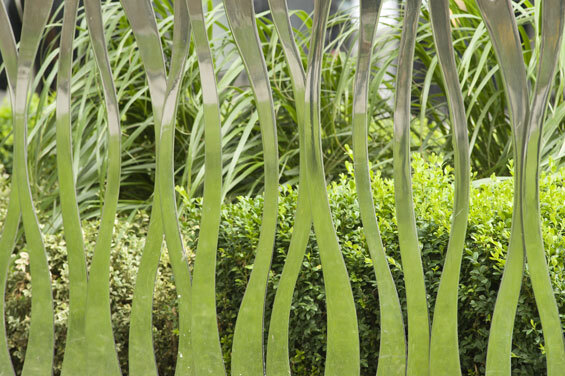 Around the perimeter of the Gardens are the curvilinear ‘White and Green Ribbons’, which allow the experience of the green London Square to be extended beyond its boundaries, its organic shape and function blurring the experience of being ‘inside’ or ’outside’ the Gardens. Textural planting and mirrored stainless steel railings help to create a soft transition between the Gardens and the surrounding Terraces. The 200m long ‘White Ribbon’ surrounding the Gardens acts as an informal seating element that activates the edge of the Gardens and creates a new spatial event. 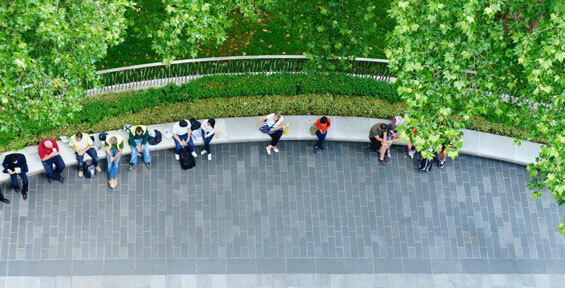 It forms a welcome opportunity to relax and enjoy street life within London’s busy West End. Its form, colour and shape are referencing the Grade II listed Shakespeare statue and fountain. 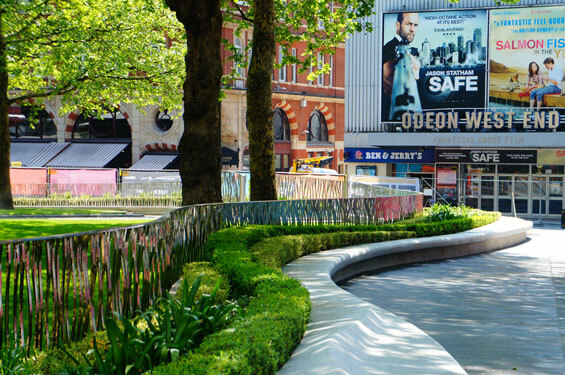 Along the length of the ‘White Ribbon’ seat sits the ‘Green Ribbon’ formed of sweeping lines of textural planting. Together the White and Green Ribbons soften the spatial separation between the Gardens and the Terraces. Their fluid shape unifies the design of the four sides of the square and creates a variety of different seating opportunities. Under the 1931 London Squares Preservation Act the Gardens have to be enclosed by railings on a granite plinth, originally in order to protect them from private development. The design addresses this requirement in a contemporary manner. The design of the railings and gates is an important element in re-linking the Gardens to the Square. 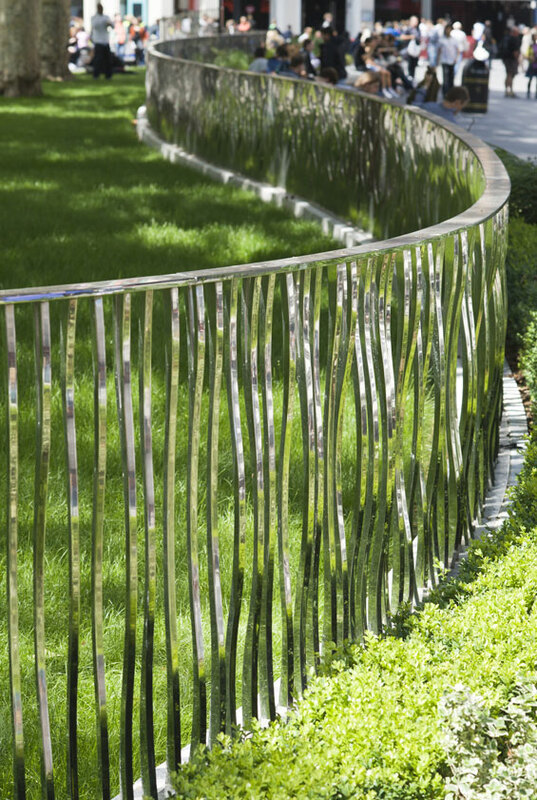 Mirrored stainless steel finish reflects the adjoining planting and the lawn increasing the sense of space both from inside and outside the Gardens. The direction of the vertical uprights creates an ever changing effect when walking along the railings yet maintaining views into the Gardens. 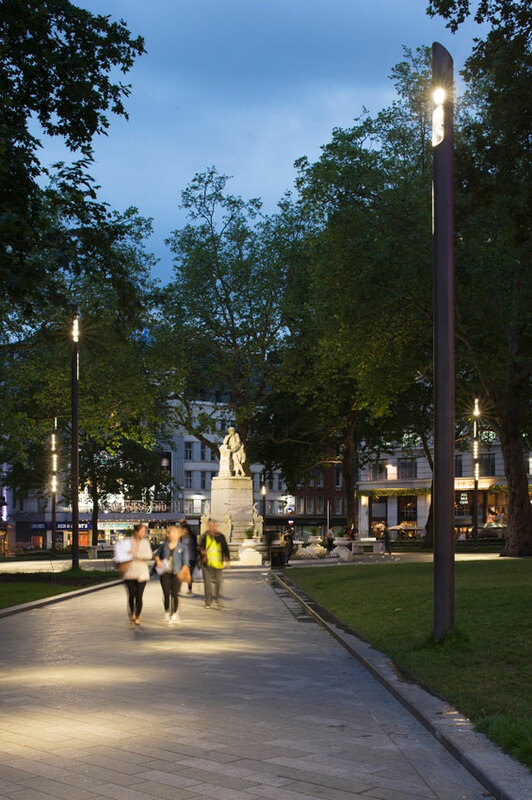 The night-time appearance of one of the most intensively used squares in London is a key factor of its design. 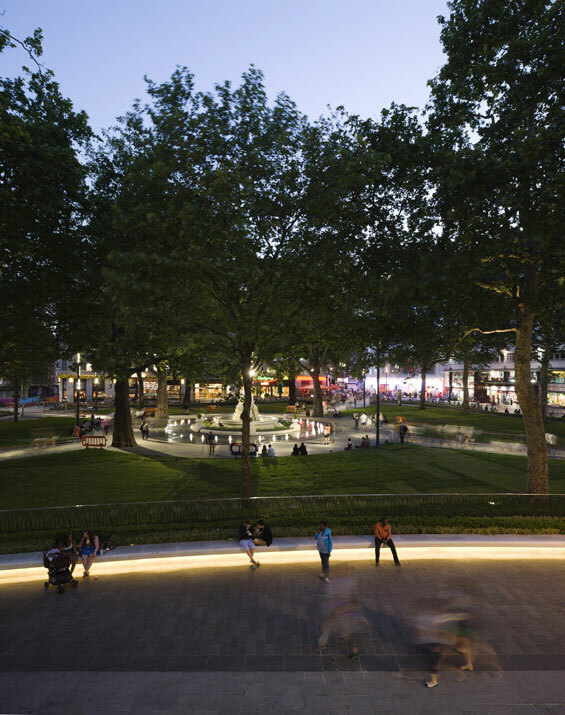 The bespoke lighting scheme focuses on the key elements: the Shakespeare Fountain, the Ribbon seat and the Gardens. 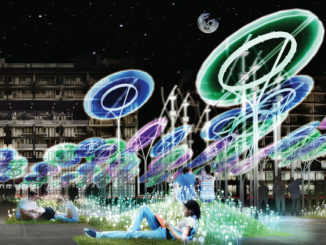 The flexible lighting scheme for the gardens allows for the creation of a dramatic and atmospheric lighting effect. By day, the visual impact of the lamp columns with their integrated luminaires is minimal. Lighting to the underside of the ‘Ribbon’ seat creates the illusion of the seat floating above the ground. The entire scheme uses LED technology and is therefore low energy and low maintenance. Due to its strength and durability the scheme uses natural granite as its base material. Different module sizes and colour mixes reference the specific locations in the scheme and subtly underpin the function of the spaces. 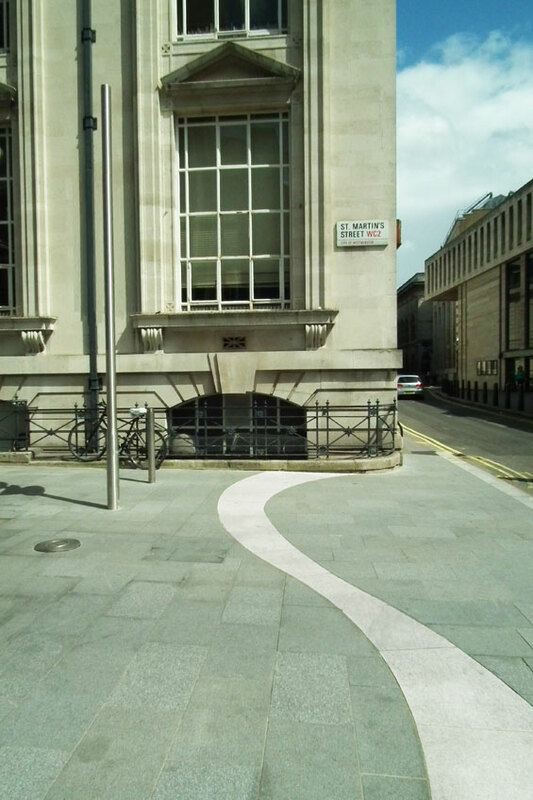 Diagonal paving indicate areas of multi-directional pedestrian and vehicular movements; chevron paving patterns are applied to strengthen the effect of the tapering pathways; large radial units create a sense of place in the Central Circle. These differences in detail constitute a family of paving treatments that unifies the appearance of the city quarter.